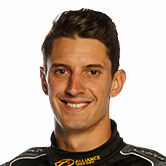 Brad Jones Racing's Nick Percat set the pace in Practice 3 for the Tyrepower Tasmania SuperSprint at Symmons Plains. 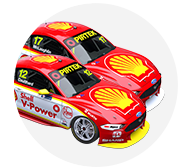 Percat recorded a 50.6956s lap to finish 0.1080s ahead of David Reynolds, while the Shell Mustangs of Fabian Coulthard and Scott McLaughlin were third and fourth. It was a quiet 30-minute session for the Red Bull Holden Racing Team, with Friday pacesetter Jamie Whincup 10th and Shane van Gisbergen 17th. Albert Park race winner Chaz Mostert was even further down the order, 22nd in his Tickford Mustang. Percat led the way through the early stages, including when the session was red-flagged after five minutes when Lee Holdsworth got stuck in the hairpin gravel. After the resumption, Tim Slade, van Gisbergen, James Courtney and Scott Pye spent time at the top, with Pye's 51.0769s the benchmark entering the last five minutes. Reynolds was the first to improve on the final runs, logging a 50.8036s to go two tenths clear of the pack momentarily. With 90 seconds left on the clock, Percat returned to the top of the order on a 50.6956s that was not bettered. 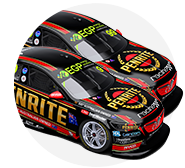 Dunlop Commodore driver Percat is among the 15 drivers who will contest the opening stage of knockout ARMOR ALL Qualifying on Saturday based on Friday Practice 2 results. He'd been hampered on Friday by electrical issues that meant he was driving without a working dash, including important lock-up lights, or shiftcut. "It was quite pleasant to drive a car with all the aids back," Percat said. "Obviously it’s fast, we stuck to our program and didn’t do anything crazy and just kept doing our test items. "That was all used tyres then. I want to be able to use my new tyres from yesterday, which I’ve done one lap on, to try and get through to Q2 without using a [new] set. Reynolds wound up second for Penrite Racing, while Coulthard pipped team-mate McLaughlin, the fastest Fords split by a scant 0.0094s. 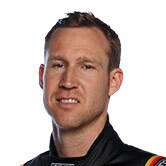 "Because of the new [parc ferme] rules, we’re coming up with tricks to make the car fast and reliable,” Reynolds said. "We try and get the car good for one lap; if it’s good for one lap it’s good for 50. "We tried some stuff overnight and it didn’t work so we had to reverse it, to reconfirm that it was that change, and now we can keep going. "Yesterday for probably the first time in I can’t remember how long here there was no wind, the times were really fast and the car felt amazing. "The wind is kind of stuffing everyone up a bit. I nearly fired off a couple of times, I’m a victim as well." 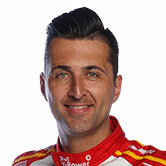 McLaughlin said: "We’ve made a massive improvement overnight; I don’t think our car was amazing yesterday. "We’ll just keep plugging along, minding our own business and seeing how we go. I think we’re there." 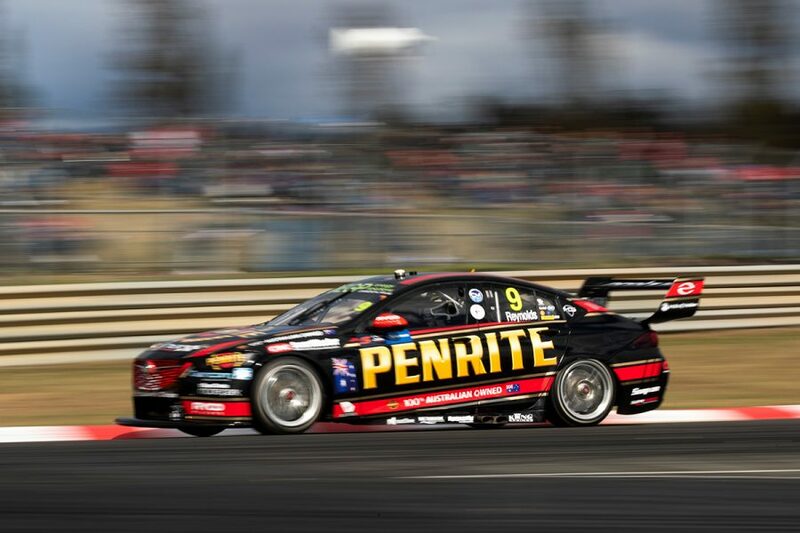 Slade made it a pair of BJR Commodores in the top five in fifth, ahead of James Golding, lead Tickford driver Holdsworth, Courtney, Todd Hazelwood and Whincup. Triple Eight pair Whincup and van Gisbergen were 0.3689s and 0.5242s off the pace set by Percat respectively, but have a free pass to Q2 in qualifying. 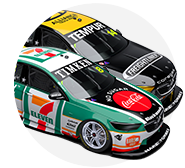 They are joined in that camp by Reynolds, Mark Winterbottom (23rd in the session), Courtney, Mostert, McLaughlin, Coulthard, Hazelwood and Will Davison (11th). Pye eventually finished 12th, with Andre Heimgartner the fastest Kelly Racing Nissan in 14th. Anton De Pasquale's session started with a snap into Turn 1, which sent the Penrite Commodore through the gravel trap on the inside of Turn 2, and he wound up 15th. Rick Kelly finished at the foot of the order after his Castrol Nissan's engine dropped a cylinder, with a change of powerplant underway. ARMOR ALL Qualifying, featuring the first use of the knockout format in 2019, starts at 1:50pm local time. The 50-lap race gets underway at 4:40pm, with teams to tackling new parc ferme regulations this weekend.